We are in Stockholm 1928. An eight year old girl, Ingrid Bengtsson is found dead at the closed down shipyard at the idyllic island Djurgården in Stockholm. The murder raises a lot of interest in the press and the daily reports about the investigation is on everybody’s lips. The young and promising inspector John Stierna is put in charge of the murder chase. It becomes a hunt for a murderer who has left almost no traces. Stierna gets personally involved and the price he will pay is very high. I an emotional meeting with the mother he promises the grieving woman that they will catch her daughter’s killer. This is the most important promise he has ever made. Will he be able to keep it? Visby, Gotland 1953. Stierna has retired and has withdrawn to a hotel to summarize his career and reflect over his life. The murder of the little girl is forever burned into his consciousness, and when a journalist looks him up to do an article about the old case and what actually happened that autumn of 1928, everything is rolled up again. 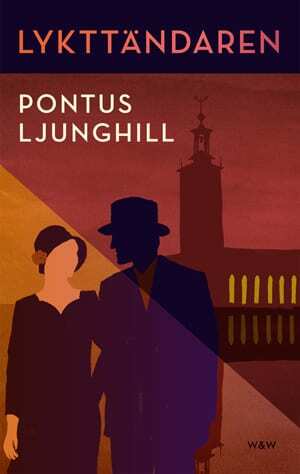 An Invisible is both a suspense novel and a moving depiction of Stockholm. It’s about how a case can be personal and eat its way in to never let go. But it’s also about a city that looked very different just half a century ago, before the old quarters were demolished and the modern city swept away the old districts with their unique and atmospheric aura. 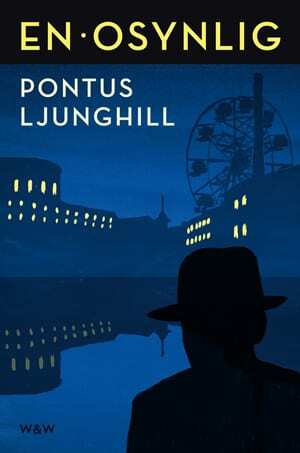 An Invisible is the first book in a series of criminal novels set in Stockholm in the first half of the twenties century.